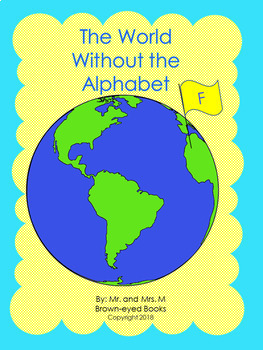 The World Without the Alphabet "F"
The sixth in our 26 book series, this original interactive read aloud will help make phonics fun! Humor and rhyme combine in this black and white illustrated poem asking students to consider what life would be like without the letter "F". Before you are finished reading students will be thinking of and naming the many things they would miss without letter "F"! 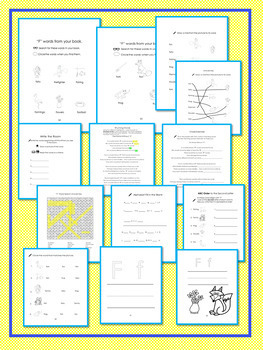 Ten multi-level activities are included in this 39 page printable providing vocabulary practice for ESOL learners as well as practice or review for native English speakers. Select pages for your students' abilities. This book includes alphabetizing to the second letter and uses the book's vocabulary together with pictures to make this printable super student friendly. Highlighting rhymes in the poem is an activity that works together with a cloze exercise to give more advanced students a challenge. Letter tracing, writing and coloring pages (full and half sized pages) let beginners have fun learning the shape and sounds of "F". 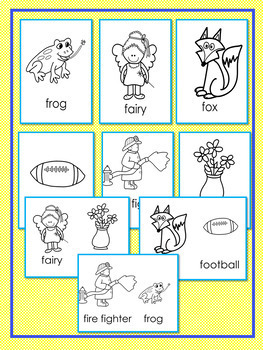 Other activities include matching vocabulary to pictures, word search, fill in the missing letter in the alphabet chart (upper and lower case) and more. 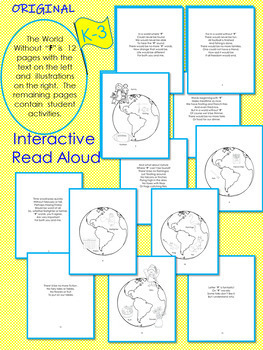 Six full -sized blackline pictures representing the sound of "F" can be colored and used for bulletin boards, whole class discussions, or class books. We included these illustrations in half-sized pages, too. We will eventually be offering all the illustrations in this book as blackline and full color PNG files. We think your students will enjoy this book because ours do! This will be offered as part of a 1,000+ page bundle with all 26 letters of the alphabet and accompanying activities and flashcards with bonus illustrations.